Posted April 19, 2016 by Green Dog & filed under Green Tip. When we go grocery shopping, many of us have learned to make choices that are both healthier for the planet and healthier for our bodies. 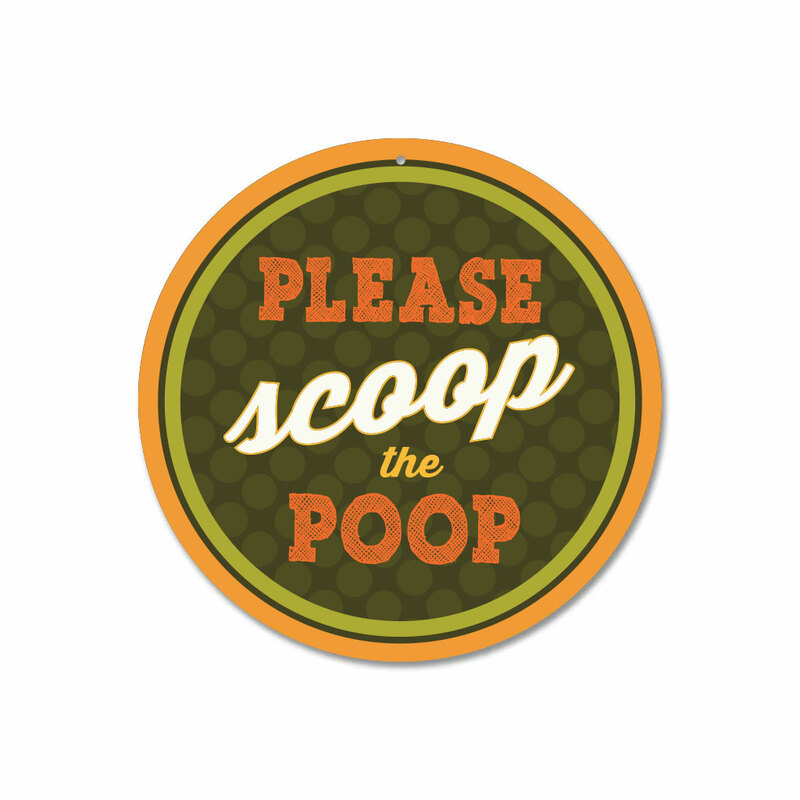 We look for organic, locally grown produce, non toxic cleaners, and paper products made with recycled materials. But how many of us realize that we can apply these same sorts of good consumer choices when we’re shopping for our pets? In the not too distant past, choices for holistic, earth-friendly pet products were few and far between. Food and treat choices were limited to ingredients that were simply waste products from the human food industry – grain fractions and condemned meat made more palatable by the addition of artificial flavors, colors and carcinogenic preservatives. Pests like fleas were only controlled with the use of toxic chemicals. Leashes, collars and beds were often only available from big chain stores and were made of the cheapest materials, with no regard for toxicity, durability, or wastefulness of resources. Many might have asked, what does it matter – they’re just animals, right? Luckily, times are changing. Our animals have moved inside and become an integral part of our family unit. We respect and depend on the positive roles our pets have on our emotional and physical health; many studies have shown an increase in the quality and even length of our lives through mechanisms like the reduction of our blood pressure when we’re touching them. Greater awareness of global climate change has resulted in a significant increase in the range of available sustainable pet products. 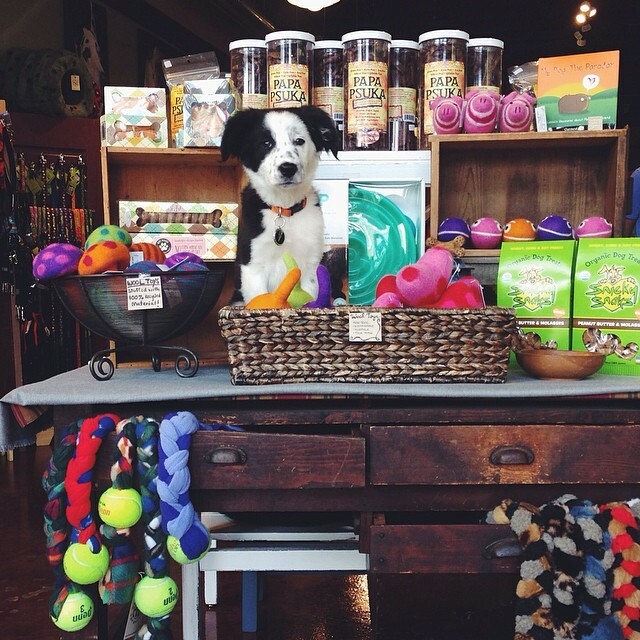 Furthermore, the demand for better products for our beloved furry friends has supported a veritable boom in the number of independently owned, holistic-minded pet supply stores. We did a lot of research before we opened, and we believe we’re fairly certain that we were the first environmentally friendly pet supply store in the nation when we opened in 2004! Many other stores have followed suit, and now, though those things I listed above still exist, it is so much easier for people who care about the health of their pets to also make choices that are good for the environment. All of us are exposed to a great number of chemicals and pollutants in the world, but our pets are especially vulnerable to exposure to chemicals and pesticides. They live close to the ground and their skin and feet come in direct contact with our floors, lawns, and pavement. They also can directly consume chemicals and toxins as they lick and groom themselves. In addition, topical insecticide treatments, excessive vaccinations, as well as artificial colors, flavors, and chemical preservatives in some commercial foods can create quite an assault on the health of our beloved companion animals. It’s no wonder that so many animals exhibit signs of allergic reactions that are so difficult to diagnose and treat, and that cancers seem to be more and more prevalent every year (cancer now affects 50% of all dogs!). Not only does cutting chemical use benefit the health of our families and pets, it is also very important to the health of our environment. Many of the chemicals we use to unclog our drains, get the bugs out of our gardens, and the weeds out of our lawns can directly contaminate our rivers and groundwater. Effective non-toxic cleaners are easy to find these days, but simple ingredients like vinegar and water can also be very useful everyday cleaners. A simple internet search for the uses of vinegar in the home will turn up a remarkable number of handy uses, including using diluted cider vinegar (1/2 water and 1/2 vinegar) as a nice gentle ear cleaner for dogs, and a soothing rinse for itchy skin and feet. As far as pest control goes, did you know that feeding a better quality diet can strengthen a pet’s immune system, making them more resistant to flea infestations? There are also several less toxic alternatives to topical insecticides. For example, food-grade diatomaceous earth can be applied directly to a pet to kill fleas, sprinkled on bedding or into carpets, and also makes an effective dewormer when taken internally. An interesting alternative to pesticides used around the outsides of our homes is the use of beneficial nematodes – microscopic worms that eat flea larvae and certain other garden pests without damaging beneficial animals like earthworms. Ask your local plant nursery about the best times to apply nematodes to be most effective in controlling fleas on your property, and for other ideas for how to reduce the use of chemicals on your lawns and gardens. One of the best ways to learn about other ways to prevent unnecessary exposure to toxins in pets is to see a naturopathic/holistic veterinarian. This type of veterinarian doesn’t just treat the symptoms of disease, they take a more holistic approach to treatment by combining traditional and alternative methods of treatment and focusing on disease prevention. They are knowledgeable about natural nutrition and pest control, and are open to discussing which vaccines and boosters are truly necessary, which can vary according to each individual pet’s risk of exposure to certain diseases. They also can do titer testing, which means they can test your pet’s blood to see if their immunity is still strong to a particular disease, to determine if they even need a booster shot. One of the biggest drains on fossil fuels is the transport of products and materials around the globe. Picture how many resources are used to ship raw materials from different parts of the world to somewhere like China, assemble them, and ship them again via ships, trains, and trucks to a distributor in another state, then ship them yet again to stores in your neighborhood. Now picture a product produced locally – no ships or trains needed. The overall reduction in fossil fuels used is significant, and there is of course a positive impact for your local economy. Many people as they grocery shop or visit their local farmer’s market realize that goods grown locally are fresher and therefore more delicious, and that buying them supports their local farmers. The same can be said for other products in other categories, even when you’re shopping for your pets. 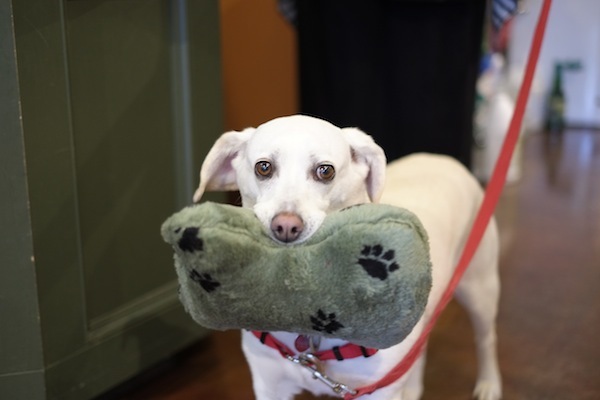 Independently owned pet supply stores are an especially good place to find locally made alternatives to commercially available supplies. Delicious, locally baked treats are easy to find, as well as things like locally made beds, leashes and collars. Independent stores are usually staffed with people passionate about sharing their knowledge about how to support pets dealing with chronic illness with better nutrition, and are committed to helping your pets live longer and healthier lives. Not only are you supporting both a locally owned pet supply store who likely also stocks goods made by local suppliers, you’re likely to find more unique and interesting products to choose from. The primary rule of green living is to consider how much of an impact a product has on the availability of resources for future generations. Take cat litter for example: the majority of clay litter is strip mined, which causes habitat destruction, and all of it is landfilled, using more space in landfills than disposable diapers. 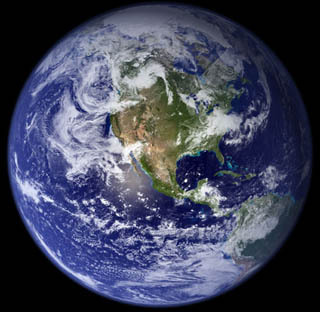 In fact, each year over 200,000 tons of clay litters are disposed of in landfills in the U.S. alone. Clay litters could also pose health risks to cats, from the silica and clay dusts that are inhaled to ingestion of clay (especially by kittens) that may cause intestinal blockages or malabsorption of nutrients. The good news is that there are more sustainable alternatives made from materials like pine, cedar, wheat, corn cobs, grasses and recycled newspaper, among others. These are generally waste products of other industries and are all biodegradable, compostable, and usually flushable (check with your city to make sure it’s OK for these reasons) Other examples of sustainable products in the pet supply store are leashes made from hemp instead of cotton (fewer resources needed to grow cotton as well as little to no pesticides needed) or nylon (which is a petroleum product); and naturally shed deer antlers as chew toys vs. beef chews. 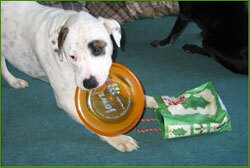 If one toy lasts as long as 30 less durable toys, There are 29 fewer toys in the landfill. We have a friend who has two big American Bulldogs that love (I mean LOVE) to play with a flying disc. Trouble is, every time they’d catch one, there would be tooth holes in it, as their jaws are so strong. Every day she’d throw away a mangled 99 cent disc. What a waste and a big expense for her over time. Then she found this product called JAWZ. It’s a flying disc made for competition flying disc dogs and it is so puncture resistant that it solved her whole problem. She’s had one of those things for three years without a hole in it. That means there are around 900 hundred fewer plastic discs in her landfill, and she only paid $16.99 for 3 years of flying disc fun (obsession?). We had a big epiphany when she told us about this, realizing that durability was going to be one of our definitions of a “green” pet product. Of course, there is no perfect toy, nothing that some dogs will not destroy eventually. However, it’s important to us not to bring in any old cheap or disposable product that’s destined for the garbage the same day you buy it. We skip the cheap plastic products that may seem like a bargain when you buy them, but end up being a repeat purchase fairly quickly. We’re always searching for the toughest and best made products, especially toys — got one you love? Tell us about it! If you have the choice between two equal products but one is encased in plastic packaging and one is not , make the choice to avoid the one that makes you contribute to the landfill. Cutting down on plastic packaging uses fewer fossil fuels and creates less waste. In fact, product packaging makes up half of all U.S. municipal solid waste by volume. Call companies that use excessive packaging and urge them to cut down on the waste. 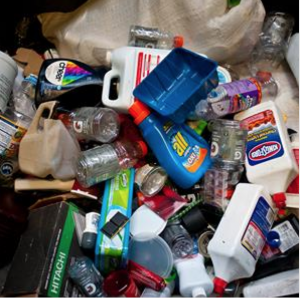 Avoid disposable products when you can, choosing something that you can use forever instead. The pet industry is filled with a surprising array of disposable convenience products, from plastic food bowl liners to plastic toothbrushes that are pre-loaded with toothpaste and individually wrapped for a one time use! When you are faced with the choice of a plastic flea comb that will break easily and then get thrown away, or a metal comb that you will likely always have, choose the more enduring product. No one will argue that outdoor cats enjoy their time outside. However, cats are introduced domestic predators that pose a significant threat to native wildlife, especially to sensitive populations of migratory birds. At our local Audubon Wildlife Care Center, cats account for about 40% of all animal intakes, the number one cause if injury and mortality by far. 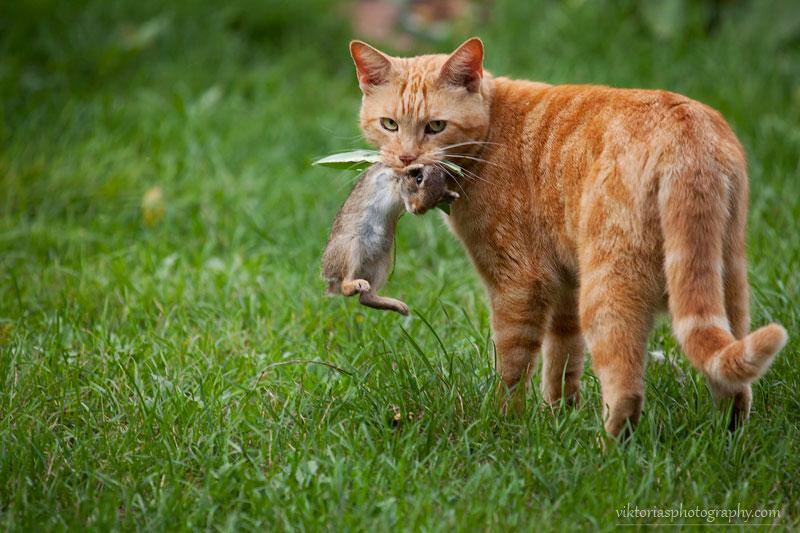 According to the American Bird Conservancy, scientists estimate that nationwide, cats kill 1.3–4.0 billion birds and 6.3–22.3 billion mammals annually. With more than 90 million house cats nationwide and between 60 and 100 million feral cats, this is no small threat to wildlife. Check out this link. Allowing outdoor access is also a significant risk to the health and lifespan of the cats themselves. The average lifespan of an outdoor cat is 3-5 years (as so many juvenile cats are taken by predators or die from inexperience with traffic, etc, and add that to the fair # of cats that die from other threats listed below) whereas an indoor cat’s lifespan is more likely to be 16-20 years. Keeping a cat indoors avoids not only traffic risks but injuries from cat fights, stray dogs, native wildlife like raccoons and coyotes, and certainly nearly eliminates the risk of contracting contagious diseases from other cats (meaning some vaccinations can be greatly reduced or avoided). You really might be able to turn an outdoor cat into an indoor cat by incorporating lots of indoor playtime and enrichment (novel things brought in to entertain them, like big wads of paper, cardboard boxes with holes cut in them, etc. If there’s no chance of turning your outdoor cat into an indoor cat, consider building a “catio” to give your cat access to fresh air and climbing opportunities in a more protected setting. Also consider keeping your next kitten indoors and you’ll enjoy many healthy happy years together while protecting native wildlife. This locally made yard sign is available at Green Dog! Portlanders seem uniquely aware of the importance of recycling at home and at work. In fact, Portland is a national recycling leader with a rate of over 53%. But one of the keys to green living is to also seek out products made from recycled materials. Luckily there are some interesting products made from recycled materials out there for pets, from leashes made from recycled climbing rope, soy fiber or recycled bicycle inner tubes (very Portland chic!) and fleecy beds made from recycled soda bottles, to plastic litter boxes and kennels made with recycled content or bamboo based plastics. Choosing a product that’s made with recycled materials makes sure there’s a demand for the materials we recycle in our curbside bins. It should go without saying that the greenest things you can do are to reuse things (the bag that sliced bread comes in makes a good poop bag! ), re-purpose things – a jar with a lid makes great food storage, a smoothie to go cup, or transport for bulk foods), or better yet, choose a product that comes with less packaging waste to begin with, and tell that company why you skipped buying it! Aren’t these products more expensive? Sometimes, but not always. Getting back to the basics can really save you money, especially in the areas of cleaning and gardening. Simple cleaning solutions made from vinegar or baking soda can be incredible cost savers to the consumer, and enriching the garden with homemade compost or treating your acid loving plants with used coffee grounds can both cut waste and save money on fertilizers and other amendments. Buying one very durable well-made product one time ultimately saves you the money and hassle of replacing a less durable product over and over again. Though organically grown food can be a bit more expensive, cooking at home (for you or your pets) with whole foods can ultimately be cheaper and certainly more nutritious than buying processed foods (talk to your holistic vet or an employee at a pet supply store that specializes in holistic, “human quality” foods and is well trained in nutrition about how to make sure your homemade diet is balanced correctly for your pet. (Check out the homemade diet tips and diet book reviews on www.dogaware.com, as well as tips for how to prepare foods for dogs with different health issues. For cats, see www.catinfo.org). The health benefits of eating more nutritious foods can definitely result in fewer medical bills! Buying products made by local entrepreneurs can often be less expensive due to their lack of overhead spent or middlemen paid, and there is often a reduction in shipping costs that would have been passed along to the consumer. Though some of these green products for your pets might be considered specialty items, one of the natural laws of economics dictates that the more of a demand there is for certain products, the more available and affordable they become. In the past few years, there has been a huge increase in the number of responsible, environmentally friendly products hitting the mainstream market. When we as consumers exercise our very real power by actively seeking out these products and supporting them, we ensure that we as a nation are living more sustainably. 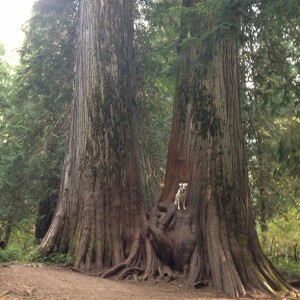 Even our pets can walk lightly on the earth!